Do You Need a Vision Plan? A vision plan is a valuable part of your overall health insurance plan. If you wear glasses or contact lenses, a vision plan can save you a significant amount of money. Even if your vision is fine, a vision plan can help with the cost of regular eye and vision care. Because many eye diseases have no signs or symptoms, regular comprehensive eye exams are an important element in maintaining healthy eyes and vision. Several good vision plans are available today. Major Vision Plans: Vision Service Plan (VSP) and Eyemed Vision Care are two of the most popular vision plans available today. These plans offer excellent vision benefits through large provider networks consisting of high-quality, independent private practices. Vision Discount Plans: Sometimes you may sign up for a dental plan and along with, they may attach a vision discount plan. Alternatively, you may belong to a corporate group or employer that gives you a vision discount plan. While these are not plans that reimburse for services or eyewear materials, they do provide a good way to get a discount on eye care services. Examples may be AAA, AARP, or Vision Source 20/20 Savings Plan provided by Vision Source, one of the largest networks of private optometry practices in the nation. Flex Accounts: A Flexible Spending Account (FSA) is one of a number of tax-advantaged financial accounts that can be set up by an employer in the United States. An FSA allows an employee to set aside a portion of his earnings to pay for qualified expenses, most commonly for medical expenses. If you have a flex account, you probably don't need a vision plan. Eye exams, glasses, and contact lenses are considered health care expenses and your flex account can be used. Health Care Financing: Many private practitioners work with outside financing programs, such as CareCredit patient financing. CareCredit specializes in financing healthcare procedures. Depending on your credit, you may be eligible for up to 24 months of no-interest financing. Savings Accounts: Vision care, for the most part, is a planned expense. Except in the case of loss or accidental breakage, you are usually aware when you are due for new glasses or an eye exam. Many people prefer to create a small savings account and add a little money to it each month. Vision plans are an important part of a good health insurance plan. Unfortunately, they are sometimes the only reason why some people schedule an annual eye examination: If they did not have the plan, they probably wouldn't make eye care a priority. The importance of regular eye exams is extremely underrated. Serious eye diseases are often missed by regular doctors. Eye conditions such as glaucoma are often not diagnosed early enough by optometrists or ophthalmologists to prevent vision loss. 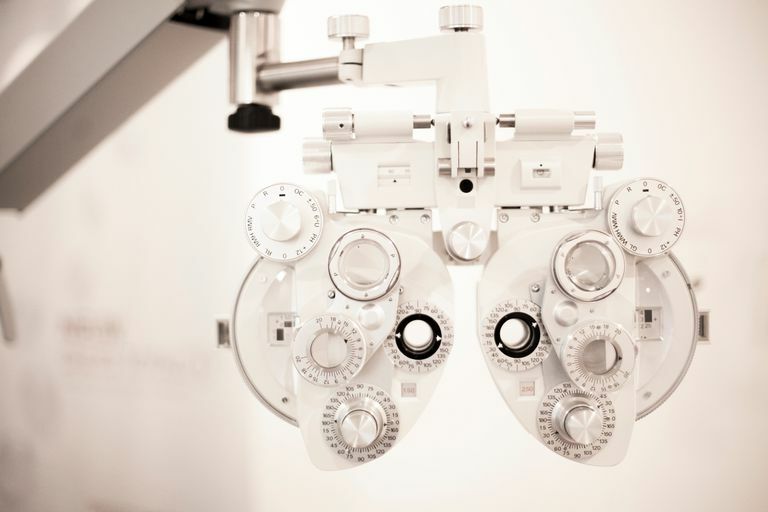 It is frustrating that not all medical insurance policies make it standard to cover the expense of routine eye exams. If you find yourself skimping on eye and vision care because of finances, make it a priority to find and invest in an affordable vision plan. Don't take chances with one of your most precious possessions, your clear sight. American Optometric Association. Vision Service Plan, VSP, AOA, Apr 2007.